The economic crisis and the growing popularity of smartphones have helped Chinese brands do well in Russia. Chinese smartphones are making major inroads in the Russian market, data released by telecom operators revealed. This phenomenon is largely attributed to the fact that a growing number of first-time buyers of smartphones are choosing inexpensive models, on account of the financial crisis. According to telecom operator Vimpelcom, which operates under the Beeline brand, in the beginning of August 2015, more than 30 percent of its smartphone subscribers in Russia used Chinese models. In Moscow, iPhones were the most popular devices (23 percent), but trends showed that the Chinese devices are catching up. Their share has reached 20 percent. According to the IDC analytical company, in the first half of 2015, the most popular Chinese telephone brand on the Russian market was Lenovo, which had a 7.7 percent share. In second place was ZTE (3.1 percent). Vimplecom’s competitors, MTS and Megafon are also reporting similar data. An MTS spokesman says there is a decline in the popularity of brands such as SonyEricsson, Nokia and HTC, while Lenovo, Huawei and other Chinese brands are showing constant growth. MTS says that by the end of the third quarter in 2014, 24 percent of its smartphone customers were using Chinese devices, compared to 14 percent in 2013. Megafon's representative also notes that smartphone producers, such as the Chinese ZTE and Lenovo, are becoming popular in Russia. People are not ready to pay up to 20,000 rubles for their first smartphone, since ordinary phones only cost a few thousand rubles, says Maria Zaikina, spokeswoman for Svyaznoi, a handset retailer. This is leading to many customers opting for inexpensive smartphones, she adds. 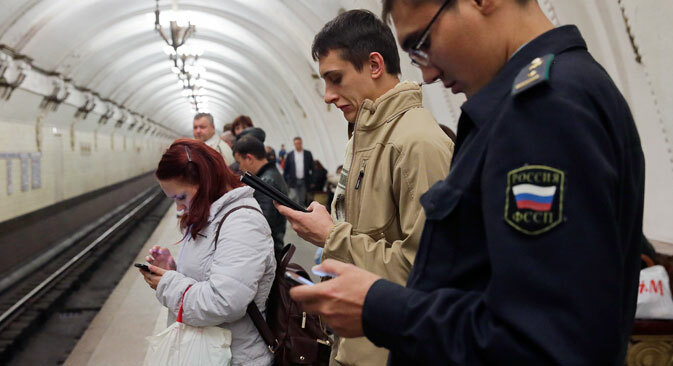 According to Svyaznoi, the share of budget telephones sold in Russia in the first half of 2015 was over 50 percent, up from 43 percent in the same period a year ago. When choosing a budget smartphone model, many customers usually pick Chinese companies. Vimpelcom representative Anna Aibasheva links the popularity of Chinese smartphones with the growth of consumer confidence in Chinese manufacturers. People no longer see Chinese products as something that will break down in a couple of days, says Aibasheva.